"As theoretical constructs turn more and more of the past into an abstraction, detailed cultural histories like The Lights of Home give us the breathing space to reimagine global literary life. Deeply informed and painstakingly researched, Jason Weiss's lively work is a truly useful contribution." 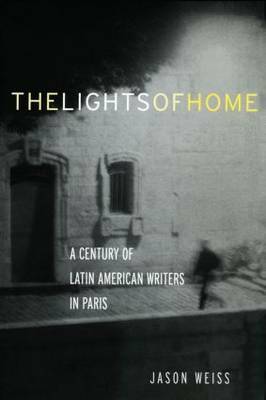 "The Lights of Home is an information-packed excellent introduction to expatriate Latin American and Caribbean writers in Paris . . . It marks a major addition to critical writing on several of the principal poets, novelists and essayists of our time." "In a study that combines a panoramic breadth of perspective with a compelling love of detail, Jason Weiss brilliantly explores the fruitful tension between the seductions of exile and the lure of home in the writings of an array of twentieth-century Spanish American writers who lived and worked in Paris. Based on a prodigious amount of research, this fascinating examination of the experience of cultural displacement from Ruben Dario to Hector Bianciotti will change the way we view Spanish American literature." "Jason Weiss's thoroughgoing and delving investigation shows how Paris was an even more bountiful movable feast for Latin American writers than it was for their northern colleagues. It also shows the great part the city played in the engendering of what came to be called magic realism." "Weiss intersperses the studies with insightful meditations on aspects of [the writers'] circumstances, such as life in a different language, relationships with fellow exiles and evolving attitudes toward the myth of Paris.."